Medieval Zagreb is an exciting capital city and is a fantastic contrast to the popular Croatian coastline. During a 3 day stay soak up its many historical, architectural and cultural sights before heading to the Dalmatian Coast. This tour is privately guided. Departure time can be scheduled to suit your requirements. Price is based on minimum 2 people. 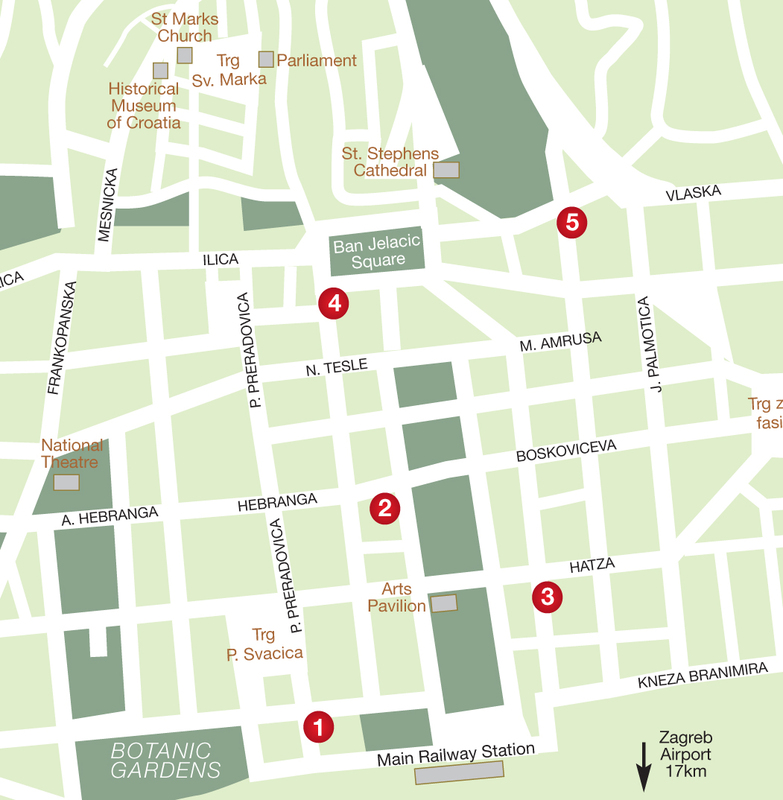 Tour Zagreb’s fortified upper town (Old Town) with its landmarks of gothic St. Mark’s Church, St. Catherine’s Church and the beautiful twin spires of the Cathedral of Assumption. the string of 16 lakes that spill into each other over foaming cascades and thundering waterfalls. Iconic, luxury hotel offering the ultimate in service and modern amenities in the heart of the city. Spacious rooms, well designed in a classical style. First class property, in an Art-Deco palace, in the very centre of the city. The hotel blends tradition and modern facilities to create a warm, inviting atmosphere. Weekend rates may be available. Centrally located, refurbished hotel offering first class facilities and warm and friendly service. Elegant, traditionally furnished rooms with modern amenities are a feature of the hotel. Weekend rates may be available. This hotel has maintained a rich tradition of hospitality since 1929 and is perfectly located on the main market square. Features spacious luxury rooms designed for maximum comfort. Weekend rates may be available. Situated in the heart of Zagreb, this recently refurbished property offers comfort, atmosphere and a unique charm. Its 49 rooms over 6 floors all have modern decor and furnishings. Weekend rates may be available. * From prices are per person per night in AUD, based on twin share in low season, and include breakfast and taxes. Many more hotels available, many with instant confirmation. Contact Cruise-Croatia for details and prices.